Oxford Film Festival Take 5 With...: Take 5 with ... "Come Morning"
Take 5 with ... "Come Morning"
As we gear up for the 10th anniversary Oxford Film Festival on Feb. 21-24, 2013, we wanted to introduce you to the filmmakers and films you will get a chance to see. 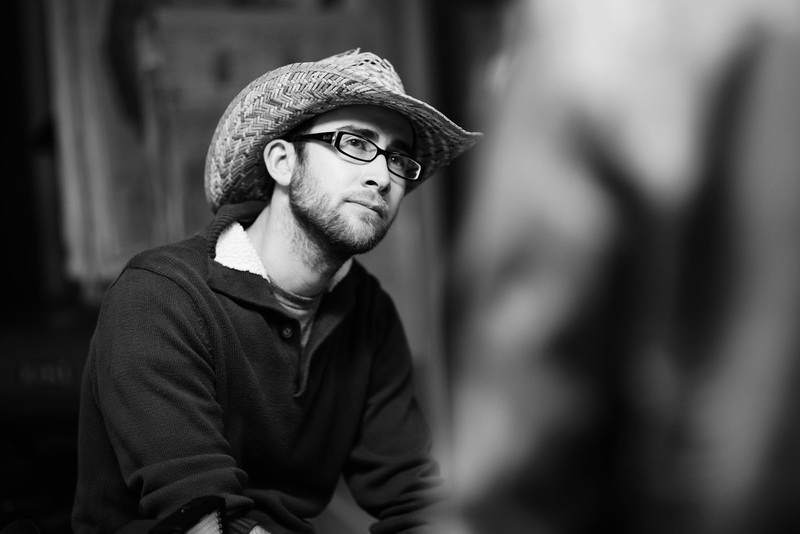 Meet Derrick Sims, writer/director/DP/editor/colorist/sound editor of "Come Morning." Arkansas. 1973. A trespassing neighbor's body. A history of bad blood. A night neither Frank nor his grandson would ever forget. "The biggest thing I learned is that you can't make a movie like "Come Morning" in 12 days with $46k and such as small crew. Even though it's a "small" movie with few characters, there were nearly 20 locations, many of which were very difficult to get into without 4x4 trucks. It was such a miserable shoot. Long days, cold weather, mud, freezing water, no sleep...that never makes for a very pleasant time. So in the future, I want to shoot at least 18 days and hopefully have more money. If we'd have had $75k for "Come Morning," it would have been a much easier shoot, and I feel like more of the original vision could be onscreen, but we raised what we could. Hopefully, "CM" will lead to better funding in the future! The best things about the film is that it was actually made! Zac Heath, one of the producers, told me right after we wrapped, ""What was in your head and what's now been shot are two different things, and you need to know that going into post."" I knew that already, because Zac and I had done projects before where he directed and I was DP/editor, but it was nice to hear that at that time. When I got back to LA and sat down to start editing, as I watched the footage, I saw what I liked and didn't like but knew that I had to make the best of what was there. And unlike almost any movie I've done in the past, I enjoy "Come Morning." I know where it falls short, but overall, I like it, and that's good for me. I've been in love with movies since I was very young. I started making short films when I was 9, directing, shooting, writing, and editing. It was mostly VHS and VCR to VCR or in-camera editing, but it gave me roots in the frame, in pacing, storytelling and even special effects, though I don't dabble with that as much anymore. While I was studying journalism at Henderson State University in Arkansas, I did lots of short films, though most of them weren't assigned class projects. I just wanted to make movies, and the faculty sort of gave me free reign to do it. I worked really hard, and I think some of them saw the drive that I had. One summer during college, I got my first feature. I was a behind-the-scenes videographer on a big budget indie film in Arkansas. It was a great position, really. They told me to make sure I shot at least two tapes a day for the entirety of the shoot. I got to interview some of my favorite stars, move from department to department, and really dig deep into proper filmmaking and how they do it! After that, the way I made movies completely changed. In 2010, I moved to LA, and I've been living and working there since. It would be a dream if Studio Canal, or Millennium, or The Weinsteins, or IFC picked up "Come Morning". Of course, that's everyone's dream. We do intend to do a theatrical run, even if it's only limited, and a distribution company isn't onboard. My production company, Fabled Motion Pictures, will get digital prints made, but we'll be on the big screen around Arkansas and perhaps around the south. We really hope for a great video and TV distribution deal, but our festival run is still young, and hopefully bigger and greater things are still to come. "For me, "Come Morning" has already boosted my career as a cinematographer and editor. I was able to get by working film to film before "CM," but since the shoot and release of the trailer and our festival nods, work has been a lot more constant and of higher quality. It is also propelling our next feature forward. It looks like we'll be shooting it toward the end of 2013, now, whereas before, we may have never been able to make it. As for the film itself, we just hope for the best. We hope to get a good distribution deal with a reputable company and go from there. Oh, and an award or two would be nice!